As golf is one of the most played sports in Singapore, the country has several golf courses especially designed for golf enthusiasts in our small country. If you’re looking for a new place to develop your hobby or perhaps want to practice for a forthcoming golf competition, consider practicing on these top 3 golf courses in Singapore. Despite being next to the very hectic Changi Airport, the Tanah Merah Country Club golf course still has the fresh air of large tropical garden of bougainvillea, tropical hardwoods and palms. The garden course was originally designed by Thomson, Wolveridge, Fream in 1984 and redesigned by Max Wexler after 10 years. Wexler added slopes and improved the irrigation and drainage system of the site. 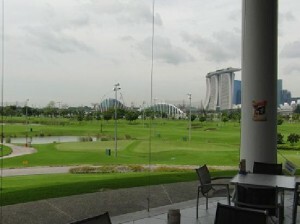 Sentosa Golf Club is gifted in terms of its views and location. It is situated on the side of Sentosa Island, off the southernmost part of Singapore. 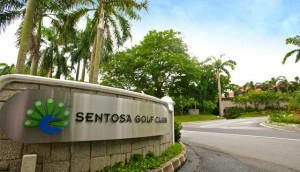 Sentosa Golf Club has two 18-hole courses, the Serapong and Tanjong course. Serapong golf course is a sweet haven for golf enthusiast in the country. 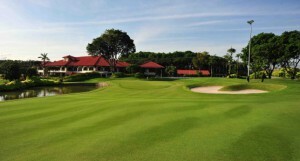 It is where the Singapore Open is annually hosted and the place itself has received honours in the world of golf. It was awarded the Best Venue Host in the Asian Tour, and named as the Number One course in Asia. Opened in 2006, this 18-hole golf site is open to the community, and thus a good starting point for beginners at the game or those who need easily-accessible grounds. Marina Bay golf promises not only to provide excitement even to champion golfers in Singapore, but it also gives them a stunning view the country’s business district horizon. This entry is filed under All About Singapore.